It's Nintendo Download update time again, North America, and this week brings two long awaited retail releases on the Wii U and 3DS, a new Mario Party game, plenty of reduced price Mega Man and some promising download-only content on the Wii U, in particular. There's plenty to choose from, so let's get to it. Coaster Crazy Deluxe (Frontier, $9.99) — Frontier was last seen on Nintendo download platforms with the excellent WiiWare titles LostWinds and LostWinds: Winter of the Melodias, and now makes its Wii U eShop debut with this rollercoaster design game. It has some wacky touches, such as the task to keep the "Crazies" happy, while also throwing in online leaderboards and challenges. We'll eat too many sugary snacks and hit the theme park for our upcoming review. Mysterious Cities of Gold: Secret Paths (Ynnis Interactive, $14.99) — Based on a Japanese / French animated series with a loyal following, this project ran a successful crowdfunding campaign to secure English localisation. An adventure in which you control up to three characters, this aims to suit various gaming ages while offering free DLC to expand the story alongside the TV show. We'll try to find our way to a review, soon. EDGE (Two Tribes, $1.99 until 2nd January 2014, then $3.99) — Originally released on smartphones and PC, this is the second "Two Tribes Classic" to arrive on the Wii U eShop, and in this case the game is making its Nintendo début. It's a stylish retro-infused puzzle platformer in which you manoeuvre a cube through tricky environments. We rated this one very highly with 9/10 in our review. Brawl Brothers (HAMSTER, $7.99) — The 16-bit era had its share of excellent beat 'em ups, and this one was another contender for the crown. We felt some over-long stage design let this one down — along with other minor annoyances — in our Wii Virtual Console Brawl Brothers review; we'll get ready for action for an updated review, soon. 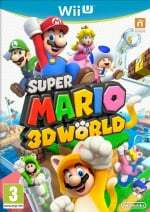 Super Mario 3D World (Nintendo, $59.99) — With each passing reveal and trailer in recent weeks the hype has increased for this latest 3D Mario title; it's bursting with creative level design, new power-ups, fun mechanics and the best multiplayer yet seen in a Mario platformer. It's been critically acclaimed and could be the definitive Wii U title of 2013 — we awarded 10/10 in our Super Mario 3D World review. Available from midnight on 22nd November. Jewel Match 3 (Joindots, $6.99) — The match-3 genre continues to grow on the 3DS eShop, with this effort promising "100 absolutely huge levels" and including a suitably dramatic storyline. These puzzle games can be rather fun, and this one has three modes to choose from, so we'll see how it stacks up. Ohno Odyssey (Big John Games, $5.99) — This looks like a fairly charming physics-based action-platformer, which promises 35 levels to take on. It looks positive, but we'll get cracking on a review to let you know what we think. Christmas Wonderland 3 (Microvalue, $7.99) — The first two titles in this series were abominations; let's see if this one fares better. 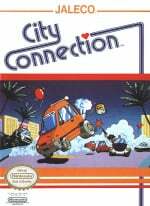 City Connection (HAMSTER, $4.99) — Another NES title makes its way to the 3DS VC, with this one very much part of the early 8-bit generation of simplistic, single screen experiences. In our opinion this isn't a retro gem, as you can see in our City Connection review. The Legend of Zelda: A Link Between Worlds (Nintendo, $39.99) — It's a new Zelda title on the 3DS, words to give many gamers a thrill. Set in the same world as the iconic SNES title The Legend of Zelda: A Link to the Past, this latest entry shakes up some core aspects of the series formula by allowing players more freedom in choosing the order of playing dungeons. We feel that it's a bold, fresh take on the series that hits its marks, awarding 10/10 in our The Legend of Zelda: A Link Between Worlds review. Available from midnight on 22nd November. Mario Party: Island Tour (Nintendo, $39.99) — The latest in the Mario Party series brings us the franchise début on 3DS; it'll include seven boards, 80 minigames, a single player minigame tower, AR card features and local and Download Play multiplayer. It could be ideal portable fun for the Holiday season, and we'll give it a whirl and let you know what we think soon. Available from midnight on 22nd November. Phoenix Wright: Ace Attorney - Dual Destinies "Turnabout Reclaimed" (Capcom, $5.99) — This case is a prequel to those in the main game. Having received his attorney’s badge back following the events of Apollo Justice: Ace Attorney, what better way to ease back into the business than defending a killer whale accused of murder? Hands On! Tangrams (Enjoy Gaming, 500 Nintendo Points) — Just when you thought you'd seen it all with Tangrams and DSiWare, both return in one triumphant swoop... maybe. This one promises 10 themed levels with 100 puzzles, so we'll switch out brains on and work on a review. Quite a few different options this time around, North American gamers. Let us know what you plan to download in the poll and comments below. I'll definitely be buying Super Mario 3D World. I was hoping for Mario 3 to be released alongside it, but I can't complain too much since 3D World will keep me occupied. Still, they better hold to their word to release SMB3 before the end of 2013! I'll be saving SM3DW for Christmas, but the Mega Man discounts look appealing. Too bad I recently got 1-3 already. I guess I can still get 4 for cheap. @ikki5 Same, here i was hoping for some more of the X series. Now how can anyone mark nothing for me this week! And you call yourselves gamers! Wow, I thought Ohno Odyssey came out a while back, I got a free redeem code for a game that didn't came out yet, gotta try it out to one of the first to play it. Was hoping for a SM3DW demo to hold me over until Christmas, oh well. Not like the game needs it, can't be too many undecideds on this one. W101 in the mail tomorrow and my wife gets her Wii Fit U Meter next Tuesday so that should hold us over for awhile. Okay, big missed opportunity in not releasing SMB3 and ALttP this week to coincide with their new releases, but good week anyway. It is kind of irritating though. I mean they say SMB3 is coming to VC and then when you'd think it'd be the perfect time to release it, they don't. Oh well...Anyway, can't wait for ALBW although I pre-ordered it! I'll download SM3DW on Christmas day along with W101 and Pikmin 3. Mario Party who now? I didn't even know it was coming out this week. Someone help me out with what MegaMan's to get. I've only ever played the very first one. Which is the best of the first 4? Seriously? No Mario or Zelda games on the Wii U VC today? Way to keep dropping the ball Nintendo. Lots for me this week. Physical 3D World and Link Between Worlds, EDGE, and maybe Brawl Brothers if I can find the time. @Spoony_Tech I love 2, 3, and 4 honestly. 4 is my favorite although a lot of people say it's one of the worst ones. If you can only get one though, I'd say go with 2 or 3. @Spoony_Tech: Honestly you cant go wrong with the next 4 Mega Mans. 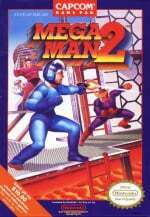 Although most people will say that Mega Man 2 is the best the series has to offer. I myself like Mega Man 3 the best. But yeah if you want to stick with continuity go with Mega Man 2 otherwise any of those 3 will be great choices. My personal favourite is 2. It's the only one I owned as a child. It might be because I had the most practice on but I found it to be more fun and less unfair than 1 and 3. Megaman 3 has loads of slowdown and flicker which makes me prefer 1. Never played 4. It is a bit annoying that they've not put LttP or Mario 64 on VC to complement the release of their successors. With that said I will be finishing off my Mega Man collection today. @Spoony_Tech: I think Mega Man 2 is the most popular choice with Mega Man 3 not far behind. All of them are great games but I'd get 2 or 3 first. @Spoony_Tech Without question 2 by far is the most polished with 3 getting a close 2nd. The first and fourth are fine they are just not as enjoyable as 2 or 3. You should allow us to select multiple games in the poll, because I'm getting a bunch this week. Wow, more shovelware for the 3DS eShop. I hope they apply those Mega Man discounts in Europe too. 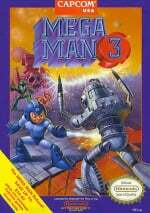 I would gladly get Mega Man 3 and maybe the first one. It'd be interesting to know if the Ace Attorney dlc is worthy of its price. Will you review it? Torn between 3D World, A Link Between Worlds (most likely the former), or waiting until I finish Wind Waker HD and Pokemon X before getting either. 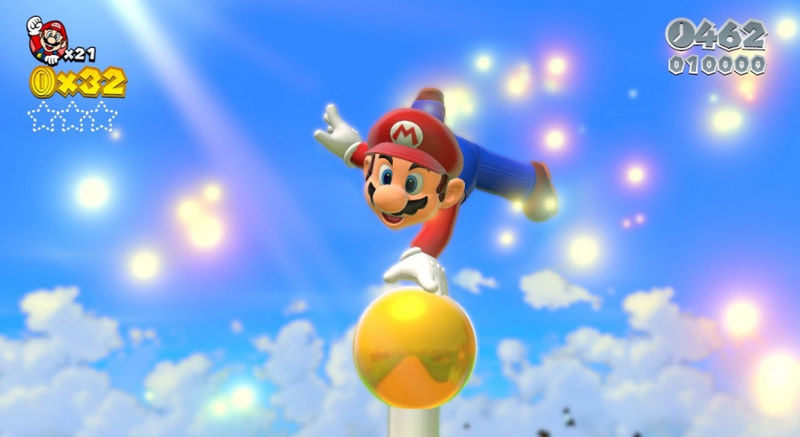 3D Mario games may be my favorite type of game, period, so I'm not sure how long I can hold out. WHERE IS SUPER MARIO BROS. 3?????? Mario Party. 3D World is Christmas and ALBW can wait. Can't agree with you on the previous Christmas Wonderland releases. I enjoyed both very much and am looking forward to this new one. I also hope Jewel Match 3 is actually released today, since it was on the list to be out last week. I didn't think I would get so many responses! Thanks everyone. I guess 2 and 3 it is for now! Even though its been what 25 years since I've played a Mega Man! Yeah I'm old. Well, if I owned a Wii U I'd be downloading EDGE today, but since I don't there won't be anything of interest to me this week. I'm saving A Link Between Worlds for Christmas so that's a no-go as well. Perhaps Black Friday and Cyber Monday will have some sweet deals on games. From what I've seen in the ads, they certainly show some promise. EDIT: Actually, it seems they announced that EDGE is coming to the 3DS eShop at some point so all hope is not lost! I repeat the question I made in the Chainlink Mario video. When eShop says midnight, what timezone do they work with? I want to get Mario and probably Edge. And Megaman 2 since I already have 3. So EDGE is good, and cheap? OK then. I'll buy it! The Megaman 3DS Virtual Console games are the NES or GB ones? When is the review for Mario Party: Island Tour going to be available? I am definitely getting TLOZ:A Link Between Worlds and Super Mario 3D World. @Spoony_Tech I'd still highly recommend 4 though. At the very least listen to these songs from it. They're some of my favorites from the entire series. Be warned if you do get 4 though. Bright Man is a cheap boss. @DimetriWarrior Check back on Thanksgiving. Getting SM3DW when I get the money. Definitely getting ALBW and 3D World for Christmas! When I waited for wind waker to download it at midnight it actually became available 11pm my time (Illinois). I am hoping that is the case tonight to. I'll be grabbing physical copies of Mario 3D World and Link Between Worlds soon, so i dont really need anything from the eshop this week. Just looking forward to playing the two best games to release this year. @sinalefa East coast time midnight! So if your west coast then 9pm. What's with all you lamers not getting Zelda, sheesh. @Giygas_95 Thanks for that second post but music ha never swayed me into buying a game. Dare i say more then 50% of the time i play with no sound! The dlc case for Ace Attorney is live now! Took 30 seconds to dl. Edge then Mario. The dlc for DD sometime. I thought that Mega Man X2 was coming out this week for Wii U VC?? I'm picking up my physical copies of Mario and Zelda tomorrow. Aside from that, I'm getting the physical copy of Super Mario 3D World for Christmas, so nothing for me this week. Probably saving them for Christmas now. Thanks for the tip. I am just dying to get that game! Amazingly, I haven't bought the Mega Man games off of eShop yet. Hello discount! THANK YOU BASED NINTENDO. @CaviarMeths They're probably getting it physically. @X-Factor Oh, it's going to get physical all right. ...I don't even know what that means. Oh snap Christmas Wonderland 3. @CaviarMeths LOL, retail copy then. I'm disappointed that Mega Man X isn't discounted, but this still a pretty great week. I'll be getting EDGE as soon as it goes up, and I'll be keeping an eye on the Rollercoaster game. Love the VC sales, I will pick Mega Man 1-4 on the Wii U VC. I will be on miiverse all night counting minutes. I already have all of those Mega Man games and I'm getting a physical copy of the new Zelda, so no downloads for me this week. @SirQuincealot: I have found the Mega Buster broken in MM 4. Because it introduced it everything is seriously beefed up on hit points even the most common Met so that you have to use the Mega Buster. Downloading Mario 3D World, and grabbing Zelda at retail. It's gunna be one of the least productive weekends in years. It's ok family, I'm sure that leaky roof will sort itself out. There's no substitute for positive thinking! @Kevin I know, right? Releasing two of the best-received and much-awaited new games of the year on one day. But they don't re-release a game from 20 years ago. Dropping the ball, big-time. Getting SM3DW tonight..Maybe a couple discounted titles too like megaman two,and cube.This is an awesome week for the eshop! Well, there's only one more Thursday in November (Happy Thanksgiving), so I guess we're getting YouTube next week (assuming nothing goes awry on Nintendo's end). Otherwise, for this week, MAYBE the Mega Man games on sale. I was planning on getting Zelda as a physical release. Reel Fishing 3D Paradise is only on sale in Europe? I wonder why only 1-4 are in the discount. Oh well. I am getting ALBW physically so nothing for me this week. I don't understand the "big opportunity" argument. You're gonna buy those VC titles either way, right? Would it matter at all if I bought the MM's on Wii U? Dag nabit, I have to wait till midnight for A Link Between Worlds! Well I going download Super Mario 3D World and Link Between World but I pick Mega Man 4 since Mega Man 4 is only thing I can buy right now. If Mega Man 4 got an discount the same time as Super Mario 3D World and Link Between World then I would pick Super Mario 3D World. @HyperSonicEXE: Not really and you still use miiverse without the game. Only catch is that you would not able to share your screenshot and its doesn't say you have played the game either. Definitely getting SM3DW, physical though. I might go for EDGE too. I would get LOZ: ALBW but I think I'll wait on that until Christmas. Too many games to play and too little time, and money. I just watched the trailer for Coaster Crazy Deluxe on the Wii U and it looks pretty neat. I think I'd enjoy making my patrons puke and crash. I want A Link Between Wolrds, too, but I'll probably have to wait until around Christmas for that one. This looks be a good week, IMO. What time are they available? I'm in Seattle pacific time. Can I dl at midnight? @Michial: Yes you can. I have to download it at 3:00 AM EST. Still, amazing week. I'll probably not download anything, since my two retail purchases of Mario 3DW and Zelda ALBW will keep me pretty busy for a while. If there is a such thing as an timezone trick then all of you guys probably going for EST or later time. That mean I will get the game first before any of you guys. EDIT: Sorry about that Michial. I didn't realize that you are kidding. XD You got me there! 3D World and ALBW in the same day? Is that the greatest 1 2 punch ever?I think so. @UnseatingKDawg Try the Wii Shop Channel. @Blizzaga: I think he want the Wii U features of the Super Mario Bros 3. Great week. I'll probably get Mega Man 3 for Wii U.
I just got Wii U this month, so I'm leaning toward 3D World... but LttP is my all time favorite game... but I'm in the middle of WW:HD and Pikmin 3... have a job and a baby at home... not enough money or time for everything... but have a $10 eshop credit from Wii U digital promotion... GAAAAHHHH!!! NINTENDO OVERLOAD!!! @OptimisticLink I am jealous of you if you are about to experience Mega Man for the first time. 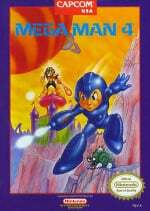 One of the greatest platforming series in existence, and none better than Mega Man 2. WARNING: DO NOT THROW YOUR GAMEPAD AT THE TELEVISION, IT WILL NOT BRING MEGA MAN BACK TO LIFE! LTTP on the Wii u/3ds VC was a missed opportunity. Good job, Nintendo. I see people asking for mario bros 3, this is already released on the wii eshop and works just find. I would prefer for them to release A Link To the Past (snes) on wii U eshop, because i am not going to buy a classic controller just to play this game or any of the older N64 games. I already have 4 wiimotes/nunchucks and would prefer to invest in the newer wii u pro controller. I'll get 3D World and ALBTW. I think the greatest invention for them would be to allow 3ds games to play through the wii-u, but of course this is just a dream..... as much as i like zelda, I am not spending money on a portable console again. @Spoony_Tech That's fine. Just thought you should hear those tracks. @Light Thing about SMB3 is, I want it on the 3DS. Mario Party for Black Friday or for Christmas but ALBW can wait until Christmas or for Black Friday if I don't get Mario Party. For anybody on the fence about any of these eShop titles. I HIGHLY RECOMMEND EDGE. I have it on my android device, and will be getting it on my Wii U. YES. Awesome music, super unique puzzler. Oh yea, Super Mario 3D World!!! 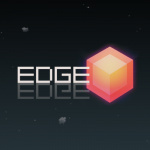 I wish I could vote for two, because I"m also getting Edge.... 1080p/60fps puzzler? Yes Please!!! @element187: Are you sure about that? I have to stay up until 3:00 AM for all eShop and PSN games. It is PST I have to follow. I think I'll finally pick up mega man 2 and 3 now, or at the very least the second one. Those emulators really don't have the same feeling as well, emulating it from an actual console. @Spoony_Tech: That's a matter of personal opinion. I'd say MM3, but personally I'd take them all since they are on sale. City Connection! Also grabbing LOZ & MPIT physical copies tomorrow:) Just missing Blaster Master and NA will have all EU's 3DS NES VC titles! No discount for Gameboy Megaman games? Nada. I'm got retail preorders for SM3DW and Zelda 3DS as I usually prefer discs whenever they offer the option. Won't be playing them till Christmas however. So YouTube is releasing on Thanksgiving? Huh. I don't know of any places open on Thanksgiving. I'm pretty sure McDonald's will be closed all day. Eh, I'll just get it the next day. I really thought A Link to the Past would be on that list today. Buying the Zelda console tomorrow so nothing for me today (I guess technically I'm downloading Zelda). I clicked 'nothing for me this week,' since I'm only planning on picking up the physical ALBW right after I get off work tomorrow, but the more I think about, the more I think it might be nice to have a Mega Man on my XL. Probably #3. I have SM3DW and ALBW preordered already, so I'll be picking them up from the store tomorrow. I'll download EDGE and will take a look at The Mysterious Cities game, just because I remember the show back when I was a kid. As far as downloads go, I'm planning to get megaman since I never finished it. I am also getting Zelda, but in it's physical form. I already got every Mega Man game on the eShop. I really wish these VC sales would come to Australia. I like downloading some games, but I have to have my Mario games in physical copy. @Blizzaga: Ha ha. I already have the Wii Shop channel version. I want the Wii U features, plus the ability to play it on my 3DS. I just wonder what's taking them so long to friggin' port the game - it can't require that much effort. Yo errrbody...Link To The Past is a reward at Club Nintendo right now. I'm pretty sure they coordinated THAT coincide with A Link Between World's release. Hey NL, where's the Mario Party review? Oh yeah, totally didn't think about that. Thanks DarkwingLz! He was right, I got the game at 11pm Central time, so midnight EST. 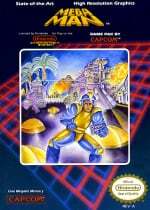 I was thinking on getting some of the megaman, but are they redoing the megaman as a 3d classics ? well alright! 100% of the votes went to brawl brothers.